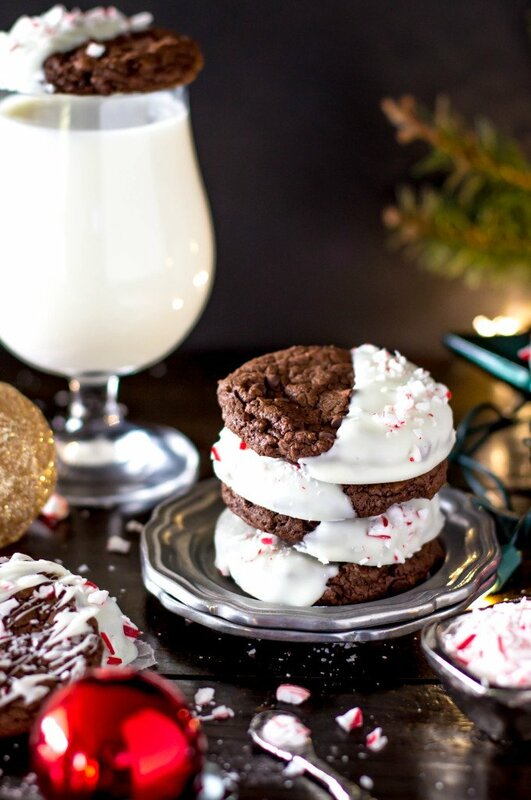 Chewy, chocolaty cookies dipped in premium white chocolate and sprinkled with crushed candy canes. 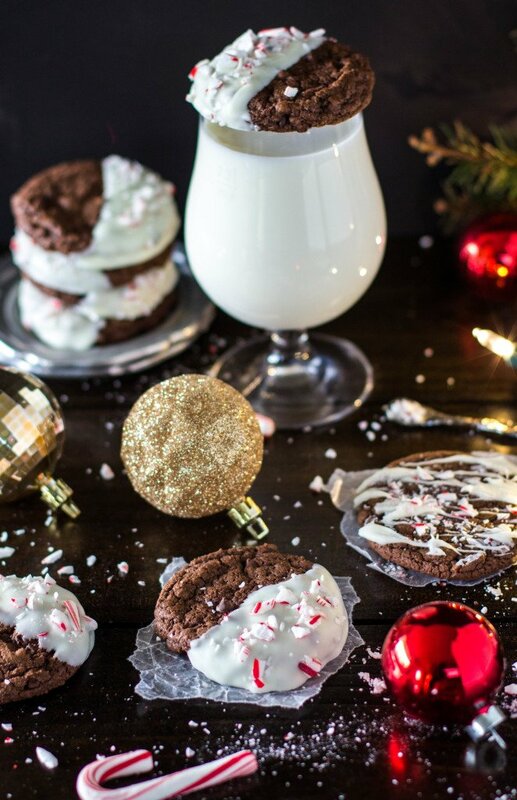 The ultimate Christmas Cookie. With only four calendar days left un-ticked before the big day, I’ve been scrambling both inside and outside of the kitchen. Between dashing through overcrowded malls and bare-shelved, patron-packed supermarkets, and going through 5 lb bags of flour in a weekend, this may be the “hap-happiest season of all” but it’s definitely the busiest. And I think that’s a big part of the reason that I’m such a fan of these cookies. Because, as decadent and gorgeous as they appear, they really, really don’t require that much effort. 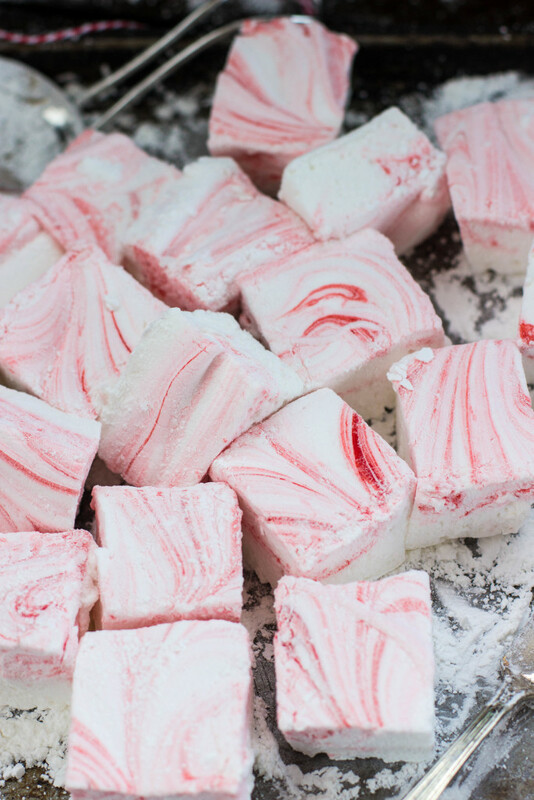 Made without the use of my KitchenAid because they’re just so easy to stir by hand (and I usually make everything in my KitchenAid), they’re then baked, cooled, dipped in melted white chocolate, sprinkled with candy cane pieces and allowed to harden. 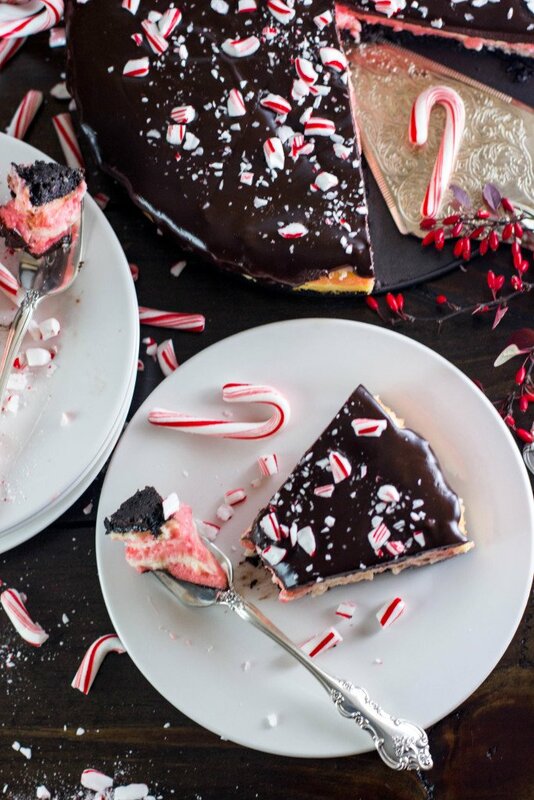 Peppermint bark is to Christmastime what pumpkin spice is to Thanksgiving all of Fall. It’s the flavor of the season and pretty much as festive as it gets. That’s what I wanted these cookies to be. 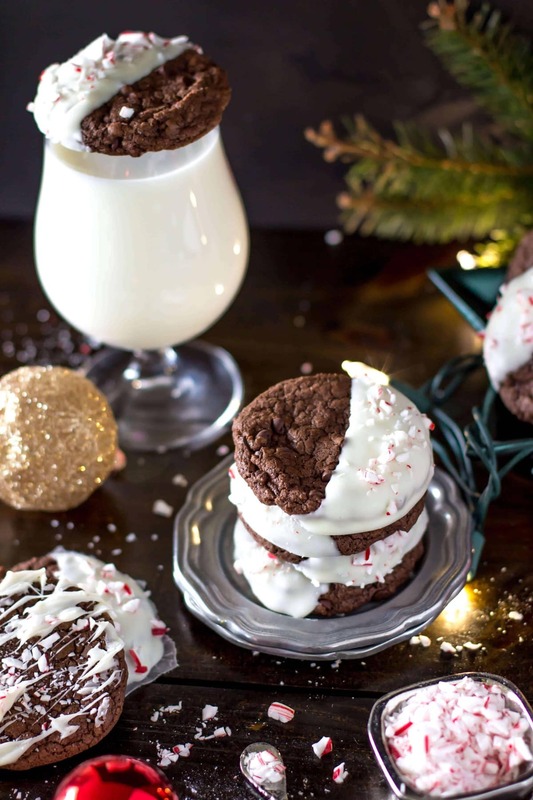 The rich, very chocolaty, chewy-edged cookies with their mini chocolate chip studded soft interiors serve as the chocolate base, a vehicle on which to carry the white chocolate and crushed peppermint. 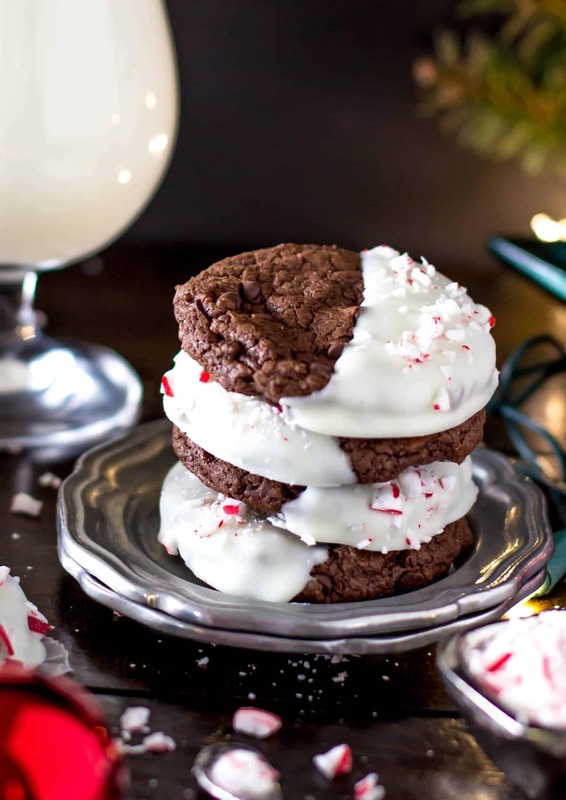 The end result: Wicked dark, sinfully chocolate cookies, with melting chocolate, the crackle-topped outsides dressed in pure-white Christmas skirts, bedazzled with candy cane jewels. If you don’t have mini chocolate chips on hand and aren’t prepared to thrust yourself back into the unevenly-tempered throngs of the ransacked grocery stores, they can be omitted. Personally, though I like the chocolaty pops throughout the chewy-edged, soft interior cookies. 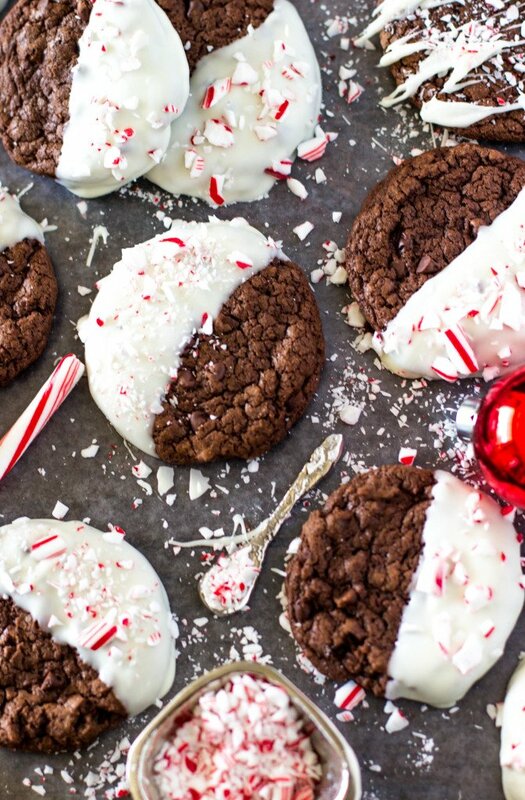 Holiday cookies inspired by peppermint bark candy! In large, micro-wave safe bowl, combine butter and chocolate chips. Microwave for 30 seconds and stir, repeating at 15 second increments until chocolate and butter are completely melted. Remove from microwave and allow to cool 10 minutes before proceeding. Once butter/chocolate mixture has cooled, stir in sugars, eggs and vanilla. In separate, medium-sized bowl, whisk together flour, cocoa powder, cornstarch, baking powder, baking soda, and salt. Drop cookie dough by rounded 1½" scoop onto parchment paper, pressing down to flatten slightly. Bake 8-10 minutes, allow to cool on cookie sheet for 5 minutes and then transfer to cookie rack to cool completely before dipping in chocolate. 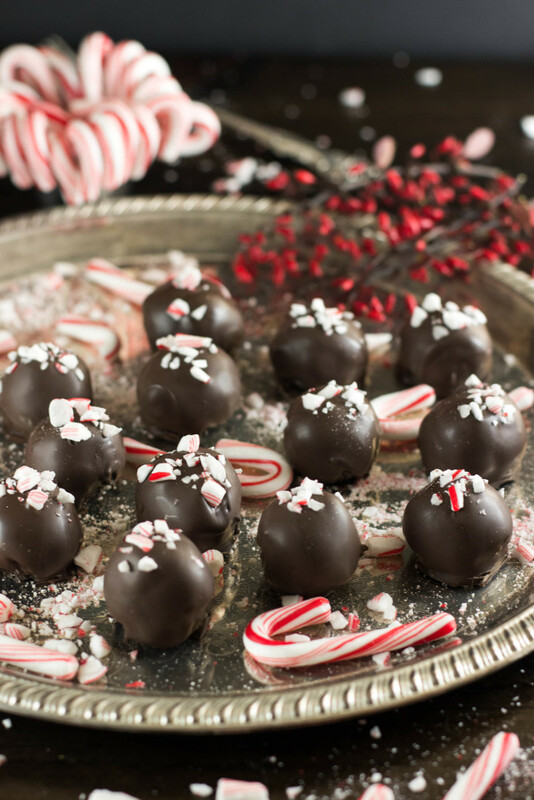 Have your crushed candy canes ready before preparing your chocolate. Prepare white chocolate by placing in medium-sized microwave-safe bowl with 2 tsp shortening. Microwave for 30 seconds and stir, then continue to microwave at 15-second increments (stirring between well after each 15-second increment) until chocolate is completely melted (do NOT microwave too long). Dip cookies 1/3-1/2 of the way in white chocolate and place on wax paper-lined cookie sheet to harden. 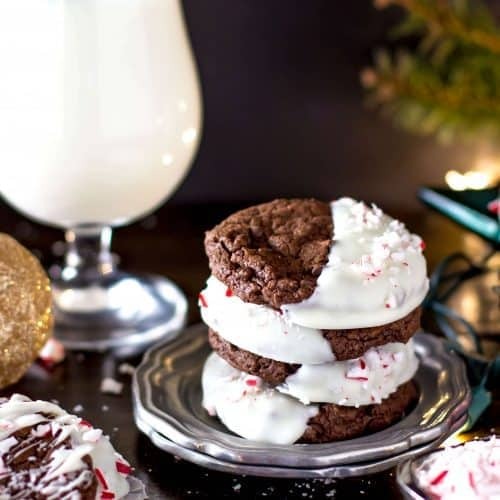 Immediately after dipping each cookie, sprinkle with crushed candy canes (do not wait too long or the chocolate will harden and the crushed candy cane will not stick). I dont ever keep shortning in my house! What can I use to replace the shortning used in melting the white chocolate chips? The cookies came out very good, but the icing wasn’t very thin. In fact it was too thick to dip cookie into it, so I spread the icing on. I’m not the best cookie maker so do you have tips on getting the icing thiner. Hmm, I’m wondering if the white chocolate might have possibly seized? Since it’s melted white chocolate with a little bit of shortening it should be a pretty fluid consistency, but if it was very thick it may have been microwaved too long or gotten too hot; if that happens the chocolate may seize, leaving you with a very thick, almost unusable chocolate that could be frosting-like in consistency and would probably have little lumps in it. If that is the case, here’s the best way to prevent seizing in the future: Melt chocolate on 15-second increments, stirring very well every 15 seconds and microwaving until chocolate is just completely melted. I made these last night and they are divine! 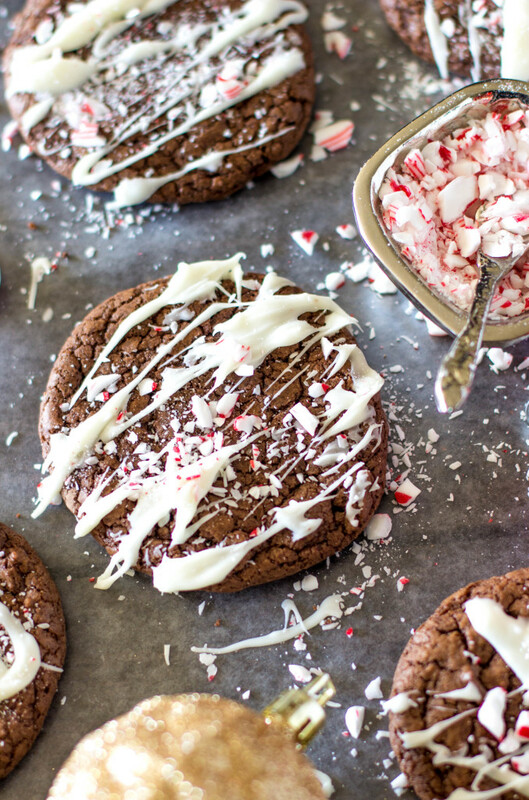 Maybe even better than peppermint bark because you’ve got the chewy cookie in there with all the flavors. And they were as easy as you said! These are going to be an annual thing at my house from now on. I made these last night and they are divine! And just as easy as you said! I decided to make these more minty by adding some mint extract to the dough and they came out pretty well! Also, I simply put the white chocolate on the top side instead of dipping them. My family loved them! Thanks! 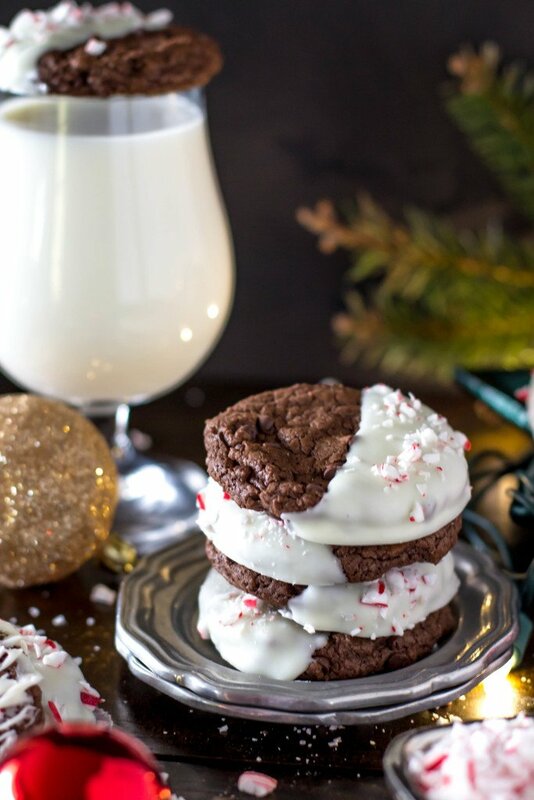 What perfect, scrumptious looking Christmas cookies! These are so pretty, too!